This is the industry leading Canadian ATPL/IATRA/FAAAA self study text and contains all required subjects to self study for Transport Canada Aeroplane ATPL writtens: SARON (CARs, operations, navigation general) and SAMRA (meteorology, radio aids, flight planning). Also includes all IATRA Type Rating/Cruise Relief Pilot and FAAAA USA FAA ATP to Canadian ATP exam subjects. All complex subjects having calculation chains have been explained in full detail and have been supported by detailed, step by step instructions along with supporting examples and illustrations. This course is comprehensive: all relevant subjects are within one source so that users of this course will not have to locate obscure, hard to find secondary references or attend a seminar to obtain the relevant materials. All Transport Canada subjects as mandated by the latest ATPL Study and Reference Guide have been incorporated and internally cross referenced. Index included. 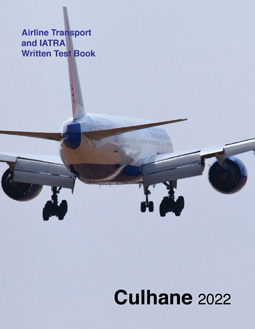 This industry leading ATPL/IATRA/FAAAA written test supplement contains 24 realistic Transport Canada sample exams: 6 SARON, 6 SAMRA, 6 IATRA and 6 FAAAA sample exams (1,410 questions in total). 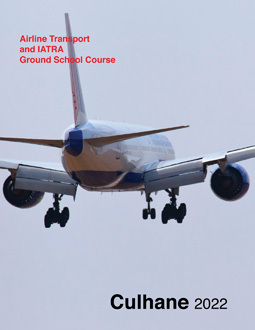 The answers to all questions in the sample exams are cross referenced to our Airline Transport and IATRA Ground School Course. Completing these exams and cross referencing and correcting to 100% will enhance exam performance. The questions have all been written to give a reliable and realstic simulation of the subjects and level of difficulty of the actual exams. 352 pages, perfect bound, includes all required chart extracts, tables and performance data. NOTE: OUR ATPL TEXTS HAVE BEEN WRITTEN TO THE ATPL STANDARD, and our texts assume that the user has successfully reached the Canadian CPL standard. If you have never reached the Canadian CPL standard, if you are converting from a foreign ATPL (excluding USA) to a Canadian ATPL, or if you have not flown for several years and your CPL baseline knowledge has become weak or out of date, we recommend that you first obtain and complete our Culhane Commercial Pilot level texts and sample exams before you commence studies for the ATPL. As well, since qualification for the Canadian ATPL requires a current Group 1 Instrument Rating, those preparing for the SARON/SAMRA ATPL writtens that do not currently hold a Canadian Instrument Rating should obtain and complete our Culhane Instrument Rating level texts and sample exams before commencing studies for the ATPL. If you are a USA pilot and you are converting to the Canadian ATPL but have not converted your IFR rating to a Canadian IFR rating, you should obtain and study our Instrument Rating Ground School Course and Instrument Rating Written Test Book so as to prepare for the FAAAA conversion exam.